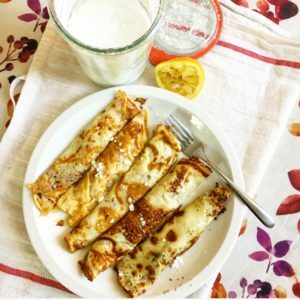 To my mind, paper-thin, hot crepes with lemon juice and icing sugar are both the only way to eat crepes, and they are the best treat in the world. But this crepe is a neutral base, and you can use it for sweet or savoury fillings. 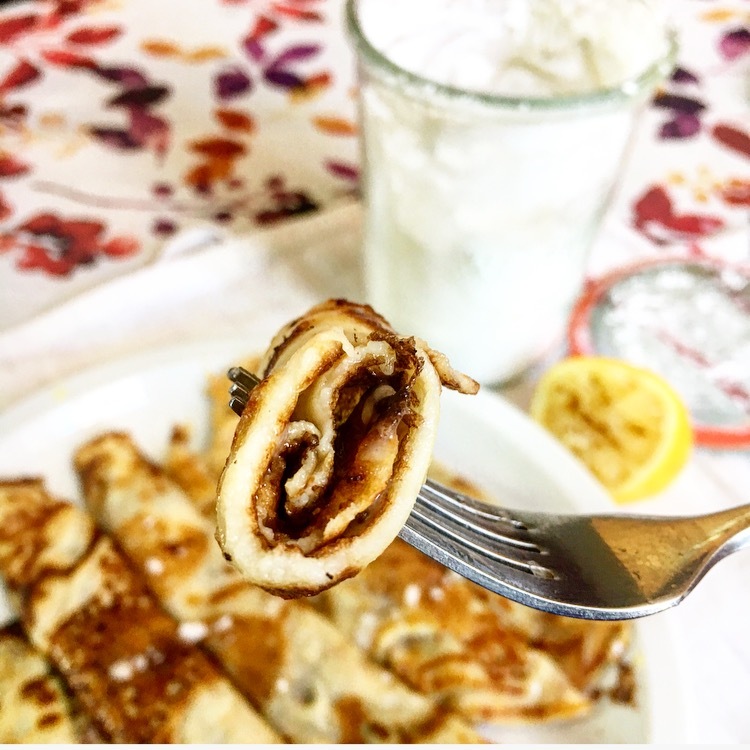 This recipe simultaneously reminds me of my Nana and my sisters as well as Paris, which I’ve visited in the Springtime and always make sure to stop at one of those closet-sized creperies for a treat. This is my Spring/Summer afternoon music – a nice mix of classics and songs I’m not as familiar with from the Swing era; whether you’re having a lazy day or getting lots done, it’s such a nice backdrop. Blend together Flour, egg, and milk, and chill for 1 hour (you can skip chilling it if you like, but it makes for a better crepe). Heat frying pan until it’s med-hot; put some butter in the pan, and swirl to coat, including the sides. Pour about 1/3 cup into the hot frying pan and swirl the batter quickly until it forms a thin, solid layer. 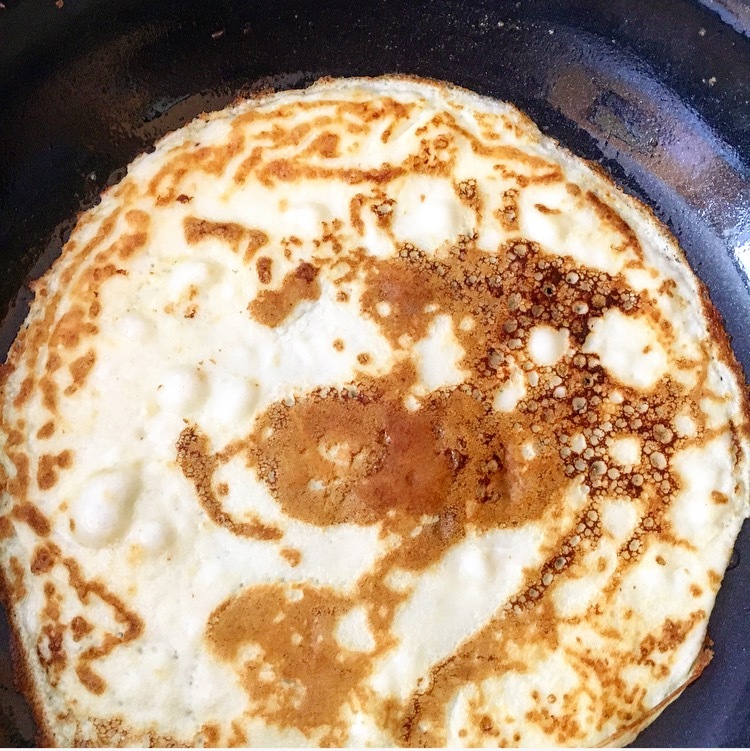 Flip when edges have curled slightly away from the pan sides (have patience! ), and the crepe is golden brown on the bottom, and brown the top as well. Knowing when a crepe is ready to flip, and flipping it, is a matter of experience, so don’t get frustrated if your first few don’t quite work; you’ll get better at it! Continue, making sure to stir the batter each time before pouring it into the bowl. Garnish with lemon juice and icing sugar (to taste, or whatever filling your heart desires); roll into a tube and serve. 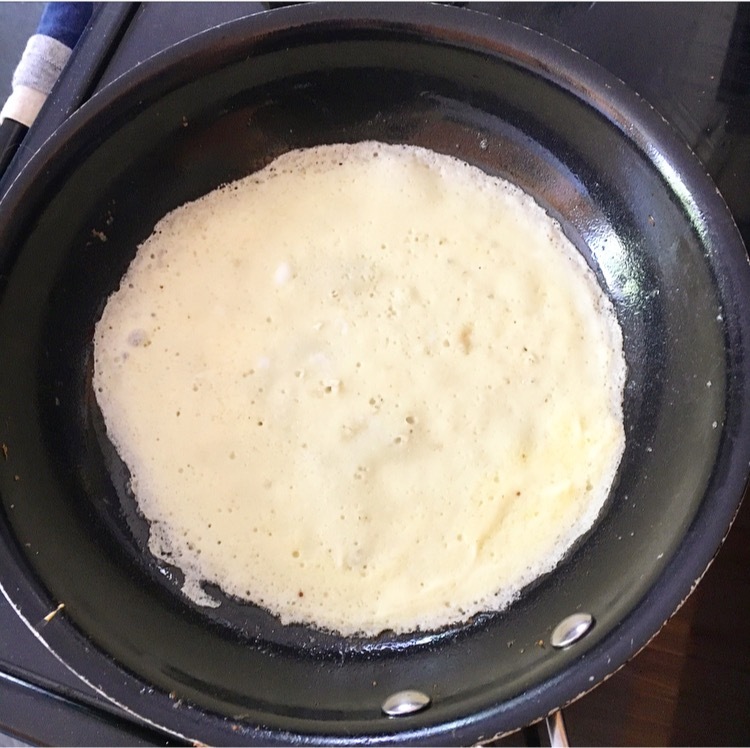 Makes about 6 crepes, including the first one which you always mess up a bit (consider it a sacrifice to the kitchen gods). For more delicious recipes, check out my Family Recipes page.